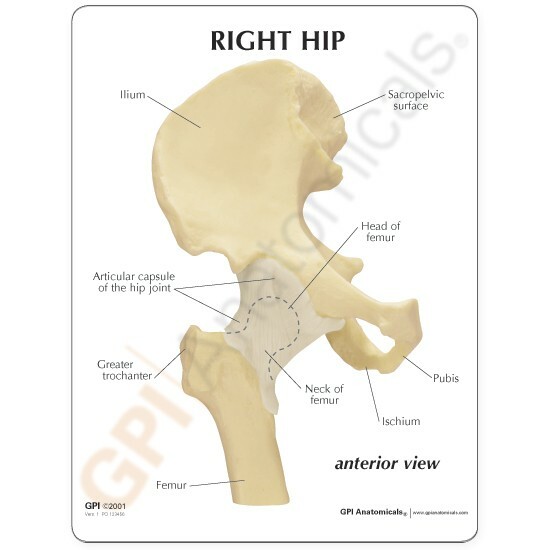 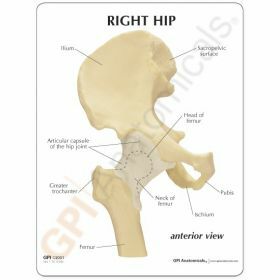 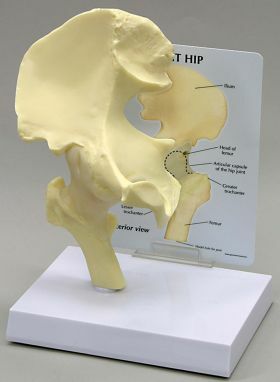 Full size normal right hip with femur includes: articular capsule of the hip joint; greater and lesser trochanter, ilium, ischial spine, ischial tuberosity, ischium and pubis bones. 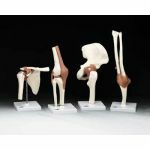 Model size: 5" x 4-3/4" x 8-1/4" Education Card size: 5-1/4" x 6-1/2". 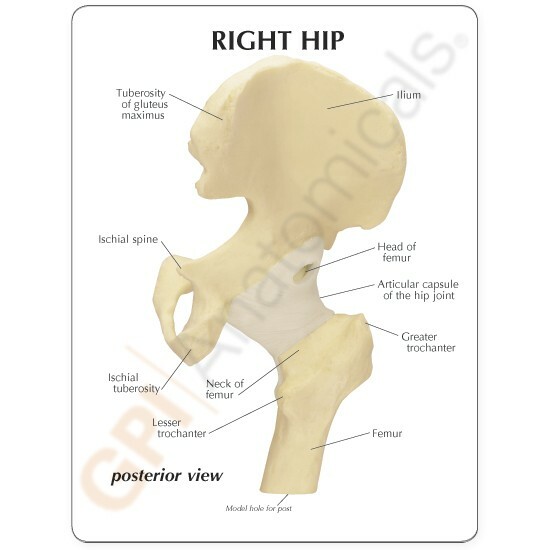 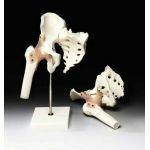 Suitable for Orthopaedics, Chiropractic Medicine, general anatomical study, training for surgical dissection, sports medicine, or for patient education/demonstration of procedures. 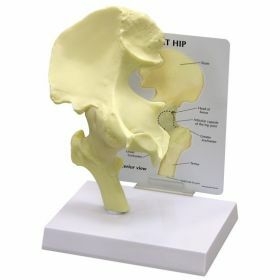 Quantity discount available.